Are you looking for a UK garment manufacturer? 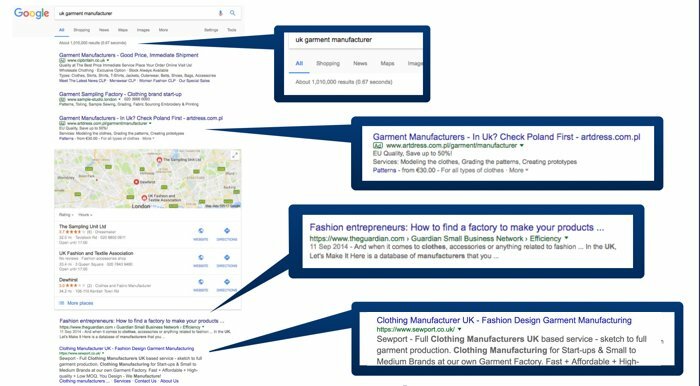 Thinking of starting with a Google search to find a factory to make your clothing brand? Let me stop you right there. Do a Google search for a UK garment manufacturer, and this is what you’ll find. Amongst the listings on page one of the search results there are; several manufacturers who actually produce overseas, an advert for a company encouraging you to manufacturer in Poland, and an article from The Guardian entitled ‘Fashion entrepreneurs: How to find a factory to make your products‘, which is out of date. Some of the imposters require quite a bit of digging on their website to actually uncover where their production process takes place. Take for instance the company that is at number one in Google at the time of writing. The title of the link says ‘ Clothing Manufacturer UK ‘and the description includes the term ‘ clothing manufacturers UK based service’. If you were looking for a UK clothing manufacturer you’d probably have every reason to think that this company could be a good bet. They even promise to be fast, affordable, quality and a low MOQ (minimum order quantity). If you were someone starting up a clothing brand using Google to start your search you’d be forgiven for thinking you’d struck gold with this one. So you click on the link and see phrases such as UK based clothing manufacturers and UK clothing manufacturing services. You have to really dig into the small print to find out that this company is not actually making the garments in the UK. Buried deep on their About page you will just about find a single mention of a network of factories based in the Baltic region of Europe. How very disappointing if you are wanting to manufacture your garments solely in the UK.This example is not unique – there are lots of businesses, for all different types of apparel and accessory manufacturing, that have a high ranking website on Google for search terms that include the words British and UK but who carry out the production overseas. So how can you avoid getting hoodwinked by these imposters when trying to find a UK garment manufacturer? 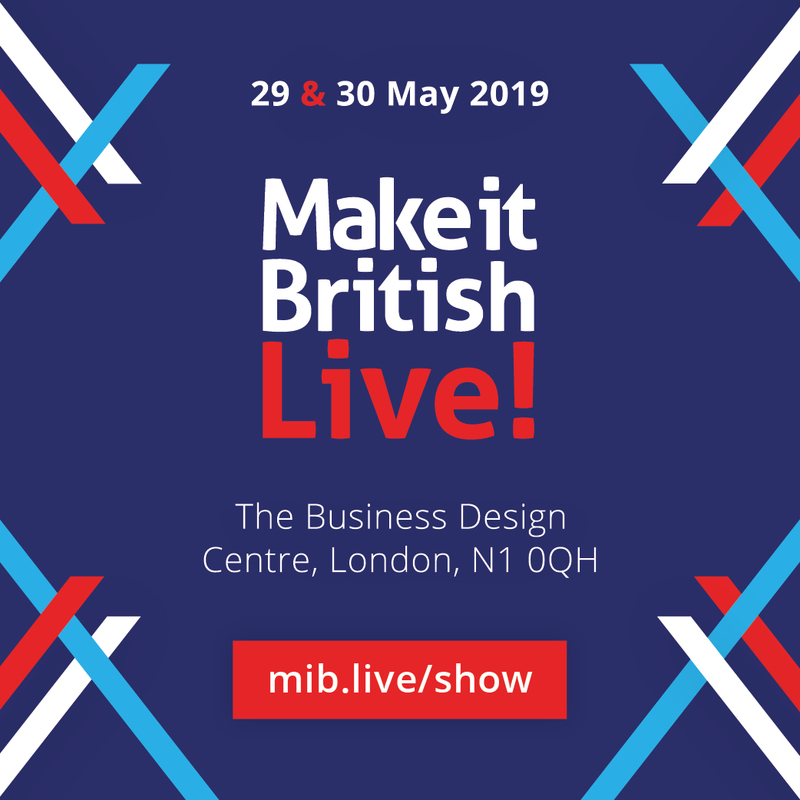 For a start, always read the small print and be aware of phrases often used to deceive, such as ‘UK-based’ (they have an office here) or ‘designed in the UK’ (they have a designer here), or probably the most confusing ‘developed in the UK’ (they make the first prototype here). If you can’t determine from the website exactly where the production is being done, ask questions.’How many machinists do you have in the UK?’ and ‘Where is your factory based?’ will usually weed them out. And of course, make sure that you go and visit them! One of the advantages of making in the UK is that your manufacturer is on your doorstep. Well said guys. 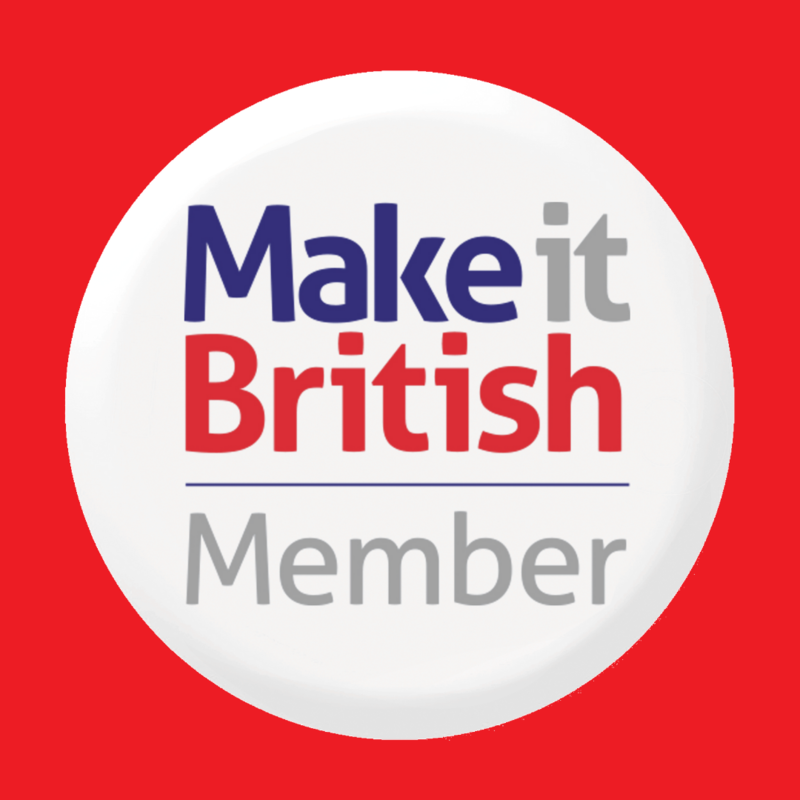 Even in the flagmaking sector the majority of generic sewn flags are made offshore and passed off as made in the UK. Without due dil the consumer never really knows the legitimacy of claims. But you know… we can focus on that or put those same energies into being who we say we are and making what we say we make. In this day and age Id say its a risky business being fake at any level. We’re focussed on more than profit and we sleep well too.